Yamaha Motor to showcase 02GEN at the International Conference for Universal Design 2014, Next-generation wheelchair design concept expressing activeness and elegance - News Releases | Yamaha Motor Co., Ltd.
IWATA, November 5, 2014 – Yamaha Motor Co., Ltd. (Tokyo:7272) will exhibit its design concept for the electrically power assisted wheelchair 02GEN at the International Conference for Universal Design 2014 to be held at the Tokyo International Exchange Center. Yamaha Motor, which has positioned design as a central pillar of product creation from its founding, established Refined Dynamism as its design philosophy in 2013, and is putting energy into developing products that realize the unique style of Yamaha. GEN is a design concept model that is an example of Yamaha Motor's ongoing commitment to the creation and advancement of our products. The first GEN concept, 01GEN, with its "on" and "off" crossover multi-wheel concept was exhibited at the International Motorcycle, Scooter and E-Bike Fair – INTERMOT Cologne in 2014. 02GEN is Yamaha Motor's second GEN concept model. The concept of 02GEN is "Merge". By infusing the electrical power assistance technology accumulated in Yamaha Motor's electrically power-assisted bicycle PAS into wheelchairs, 02GEN brings to life "an alluring wheelchair that can be controlled swiftly and moves with elegance, while being adaptable to the needs of each individual user". 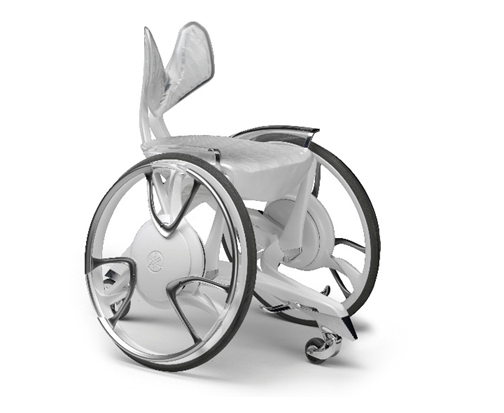 While incorporating the functionality and safety required for electrically power-assisted wheelchairs, this concept model pursues comfort, beautiful posture of the user when seated, as well as a sense of synergy between the user and wheelchair. Yamaha Motor would like to continue exhibiting and advancing our GEN design concept whenever the opportunity arises. Yamaha Motor Co., Ltd. will exhibit its design concept for the electrically power-assisted wheelchair Taurs at the Super Welfare Expo held in Creative Space "8/Hachi", at floor 8 of Shibuya Hikarie. This design concept was made in collaboration with the fashion designer Tamae Hirokawa （SOMA DESIGN）. Taurs is the embodiment of Hirokawa's proposal on colors, materials, and finishing for the electrically power-assisted wheelchair design concept 02GEN, which instills Yamaha Motor's design philosophy. 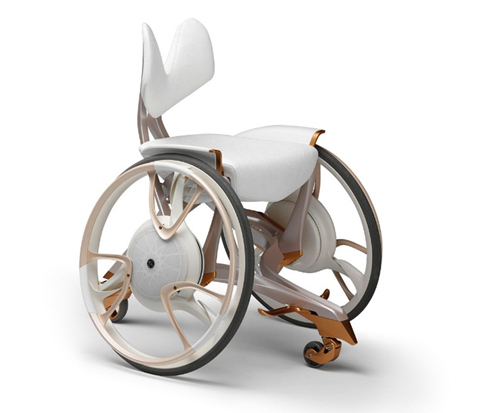 The seat that hugs the user is made with a white embossed leather, while the frame and wheels have a skin-tone ivory appearance, and the casters are given a matte red gold alumite finish. This concept model expresses a wheelchair exceeding the boundaries of machines that is in unison with the human body.